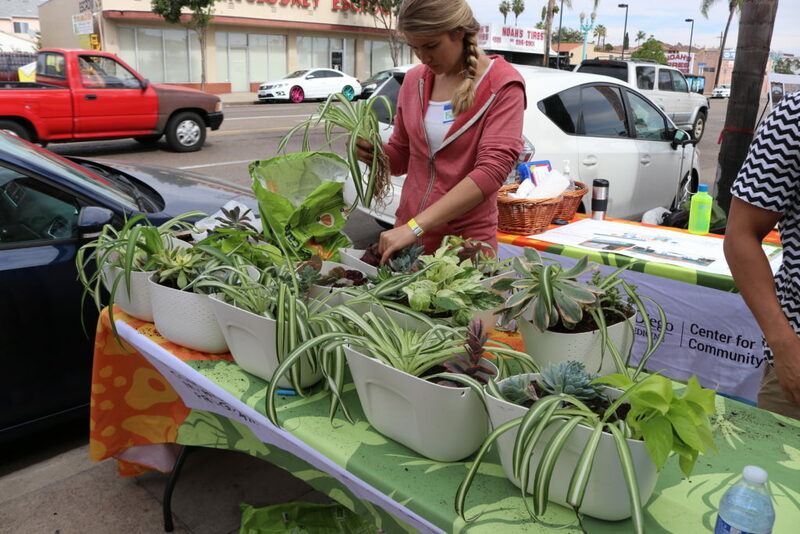 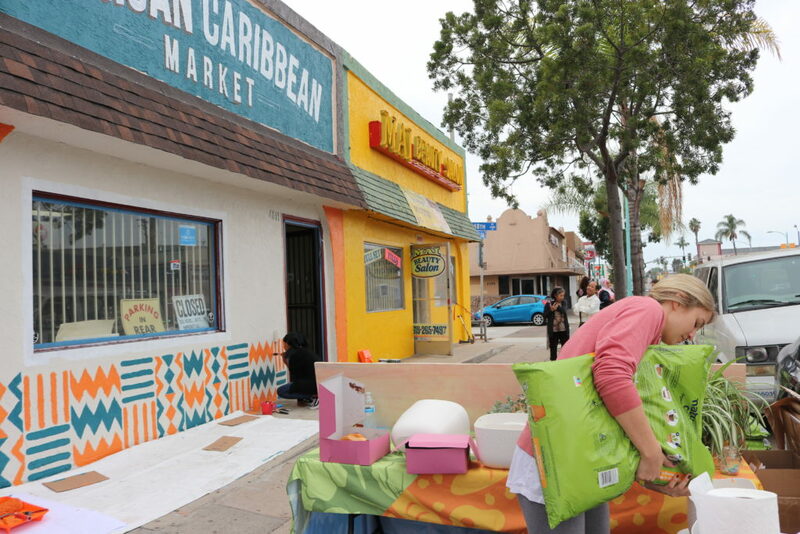 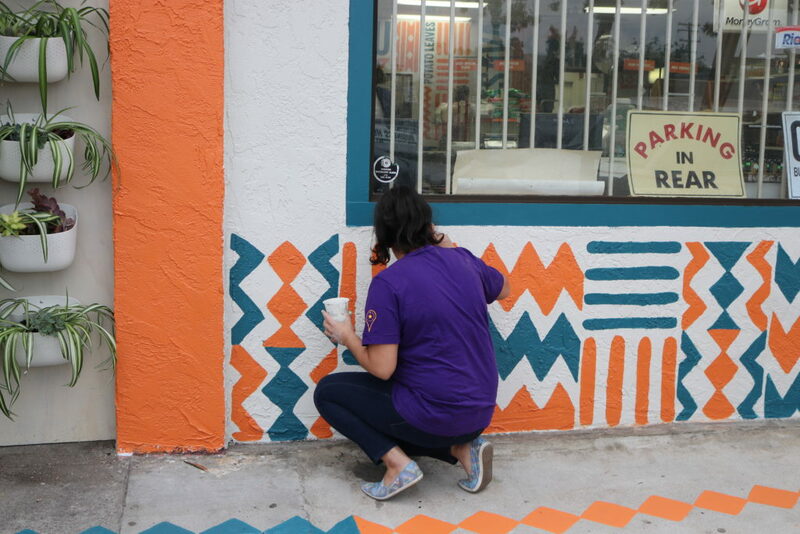 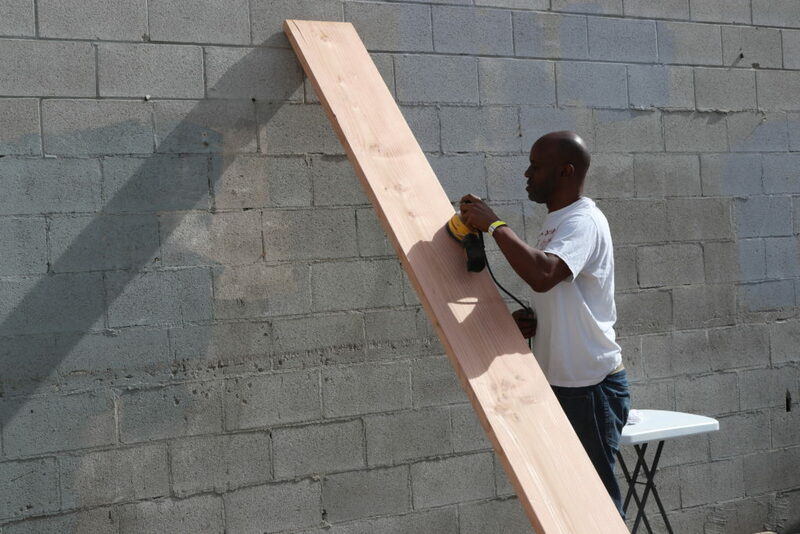 African Caribbean Market: Hidden Gem in City Heights is Transformed! 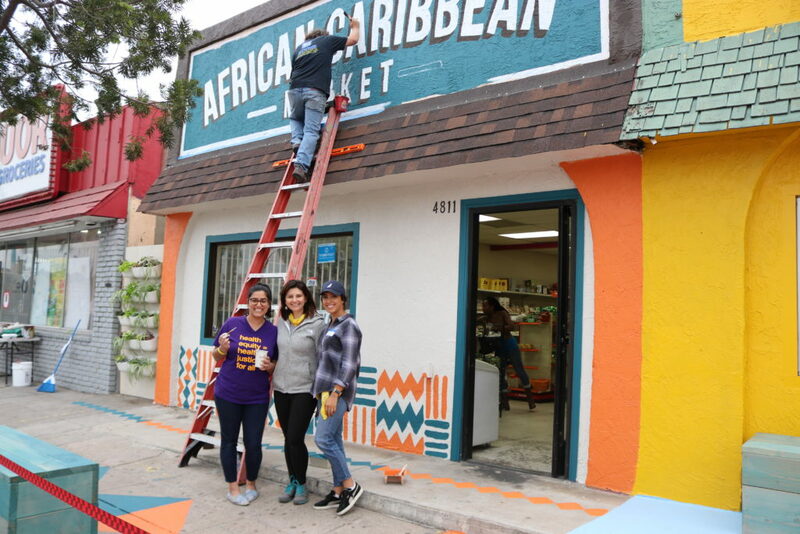 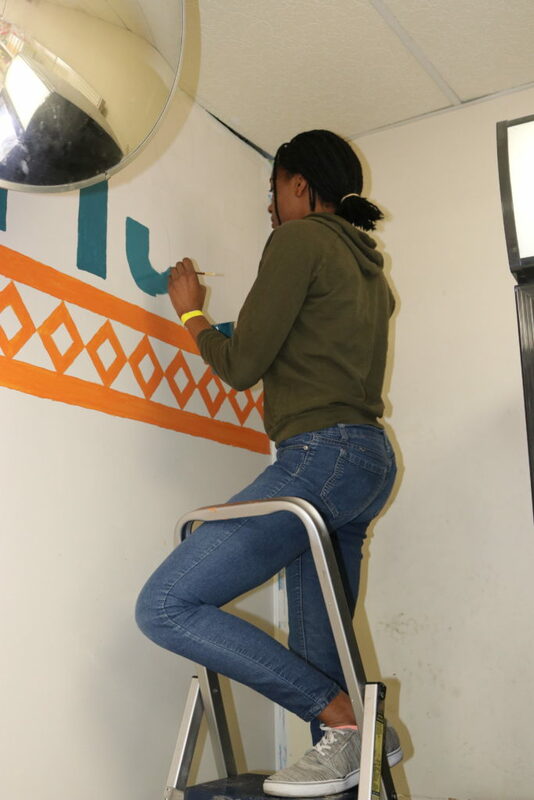 On Sunday November 12th, 2017, our Live Well Community Market Program team implemented a complete market makeover at African Caribbean Market on El Cajon Blvd in City Heights. 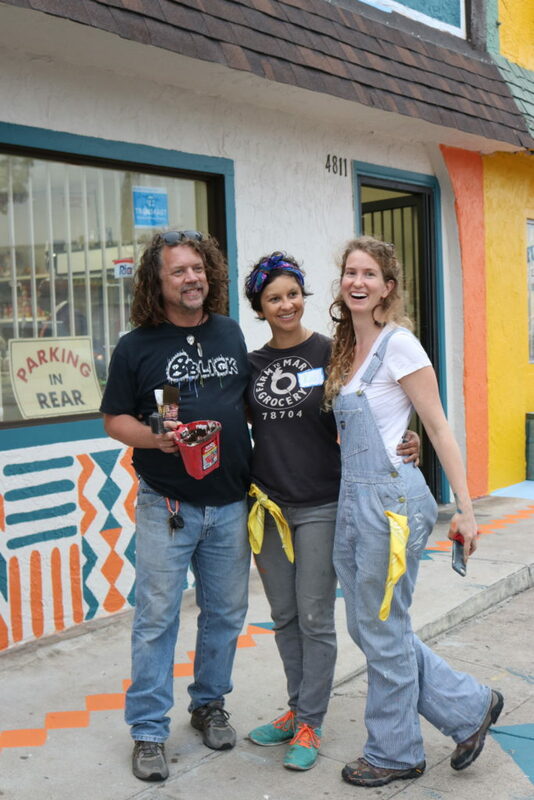 We hosted 65 volunteers, along with market owners Christian and Grace Bempong and other stakeholders such as the El Cajon Blvd Business Improvement Association, to complete tasks such as: stenciling and painting the façade of the market and interior back wall, planting new landscape greenery, and building benches.This project engaged small businesses and residents together to improve the market and beautify a small section of El Cajon Blvd. 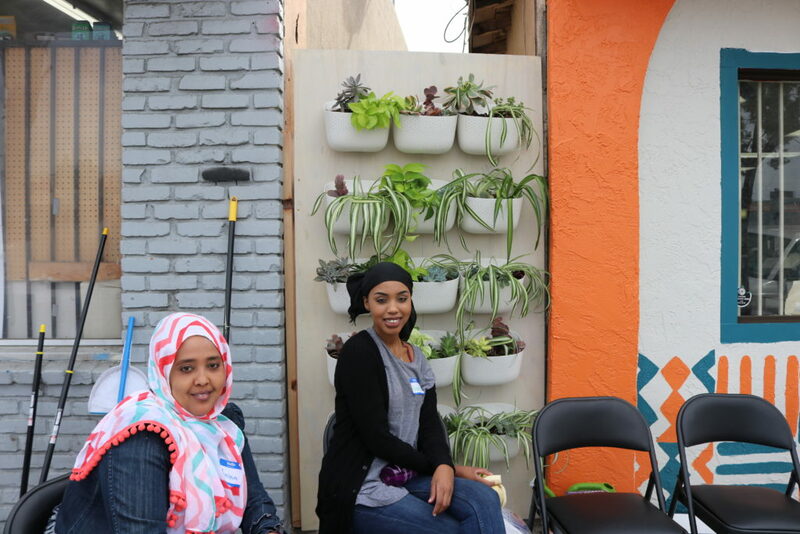 We also built social gathering spaces in front of the market and adjacent beauty salon to create a more welcoming look and feel to a neglected area of the block. 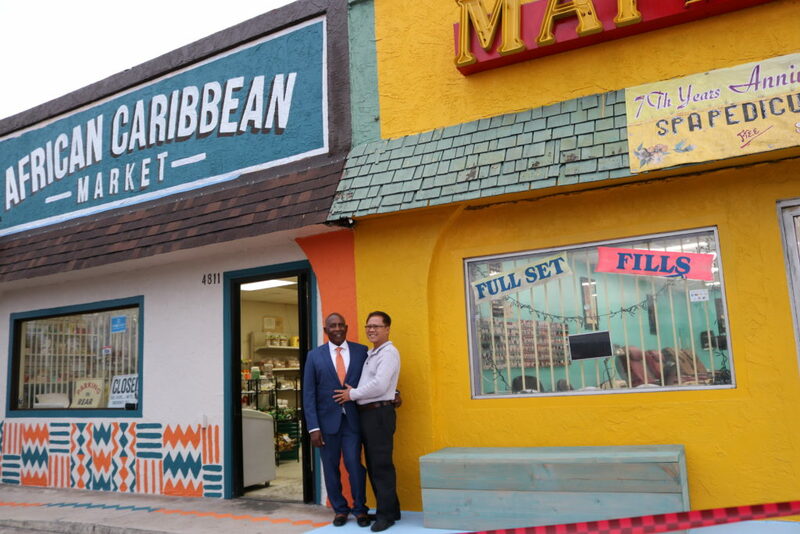 We hope to see these improvements increase small business patronage, particularly related to accessing good affordable food in City Heights. 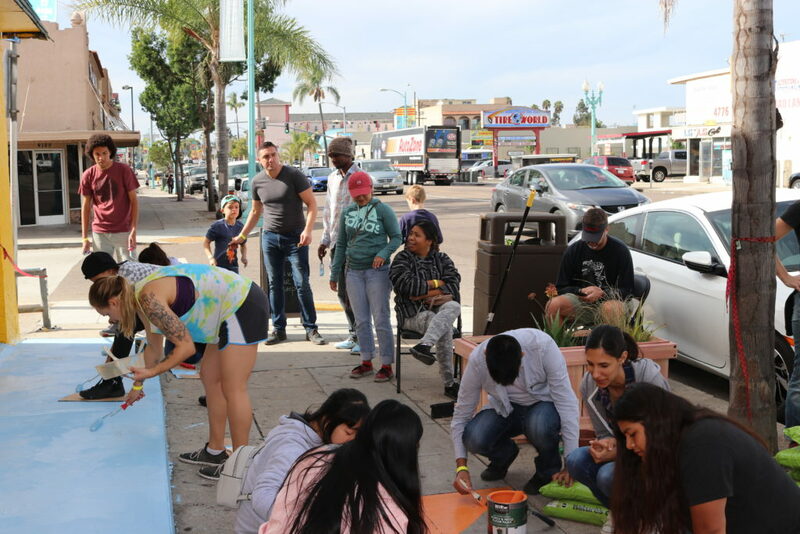 Additionally, this project contributes to maintaining City Heights’ rich culture of diversity and helps to promote El Cajon Blvd as a green, walkable/bikeable, and economically thriving small business corridor. 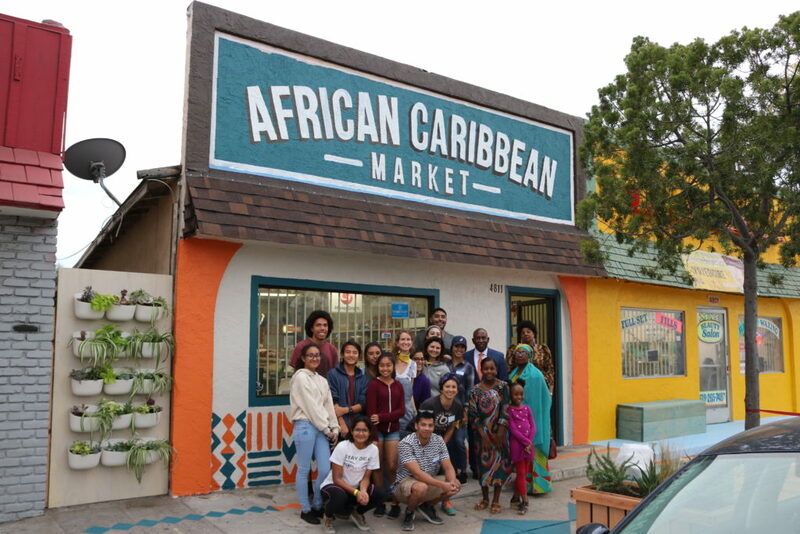 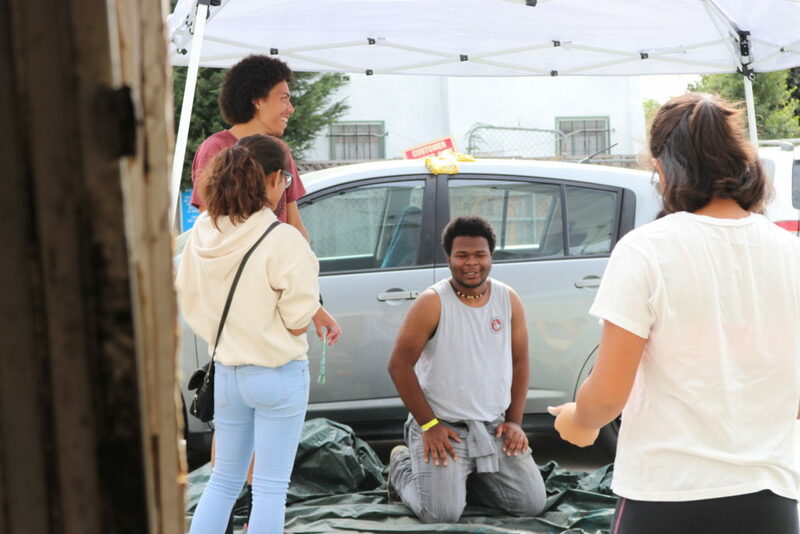 UC San Diego’s Center for Community Health has worked with African Caribbean Market for over a year through our Live Well Community Market Program, which is a project funded by the County of San Diego, Health and Human Services Agency. 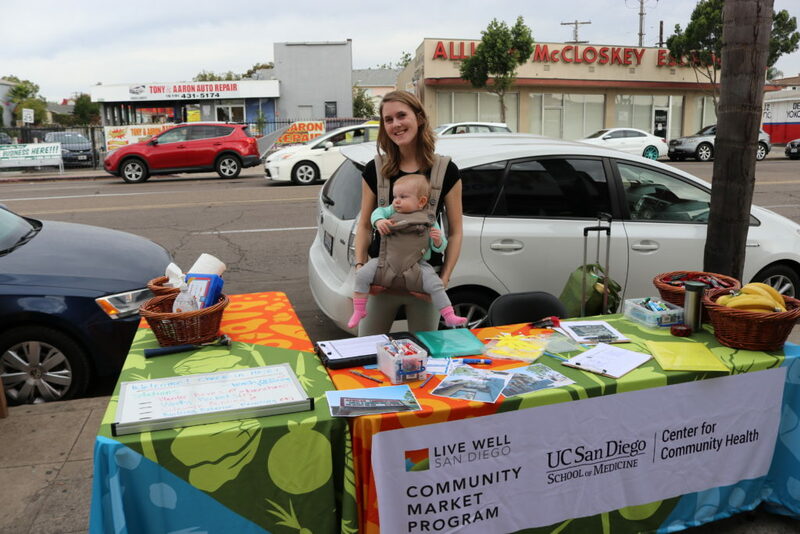 The Live Well Community Market Program’s main goal is to work with small community/neighborhood markets to improve and promote access to healthy foods. 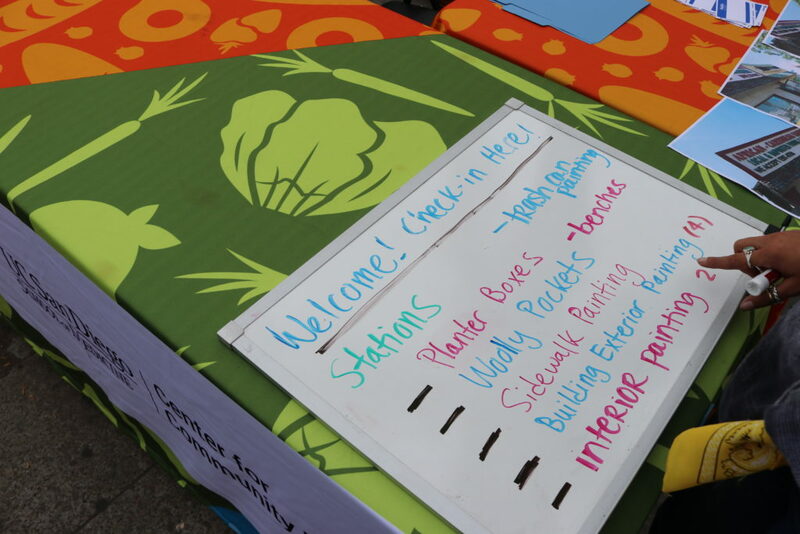 One of the ways we do this is by helping markets redesign, renovate, and reorganize their spaces to better serve their community of local shoppers. 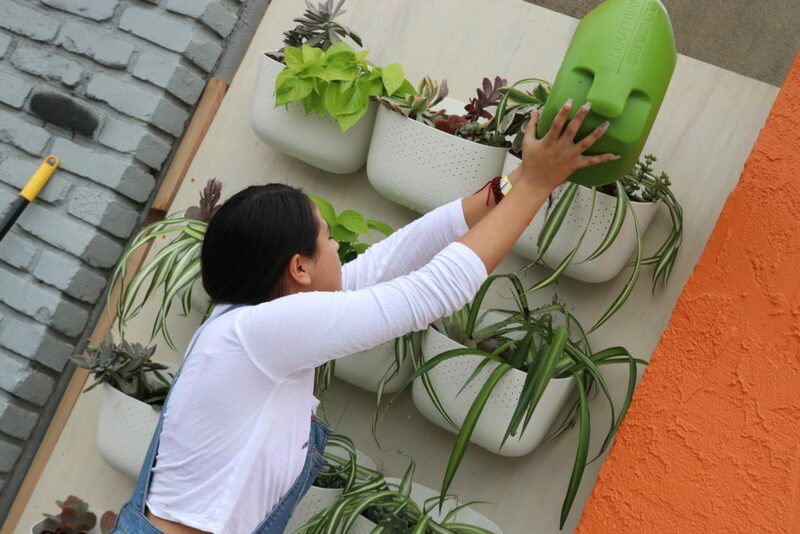 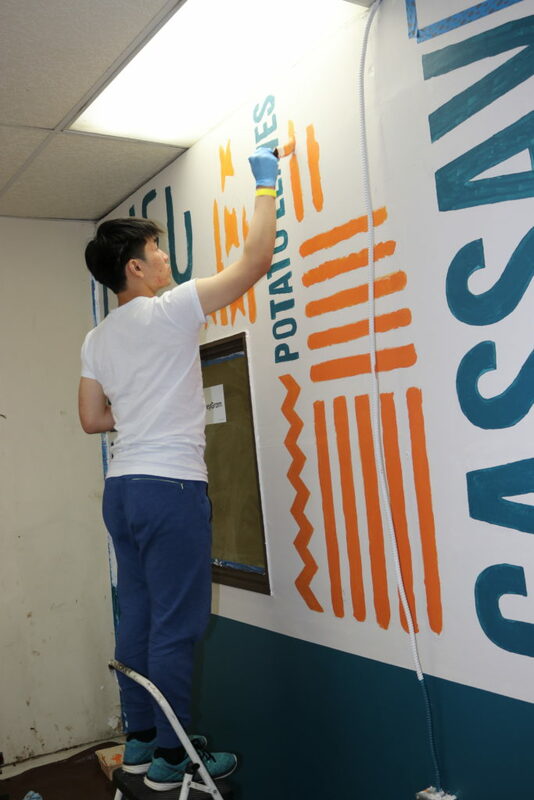 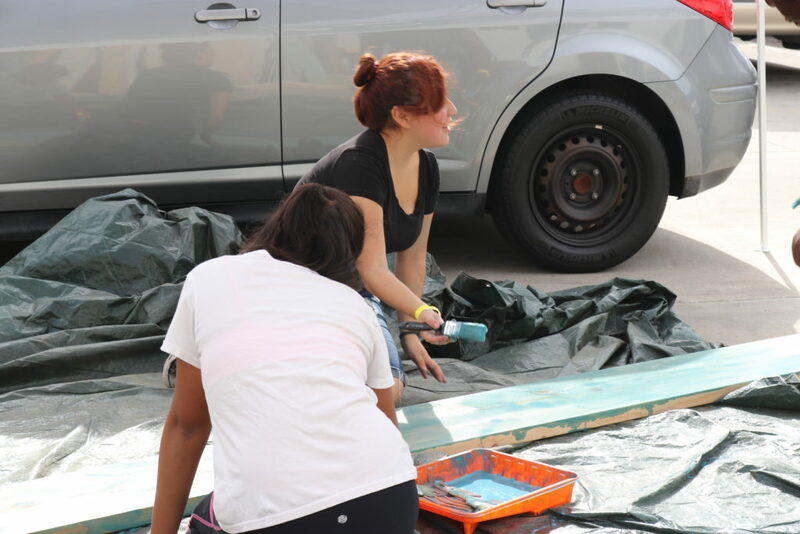 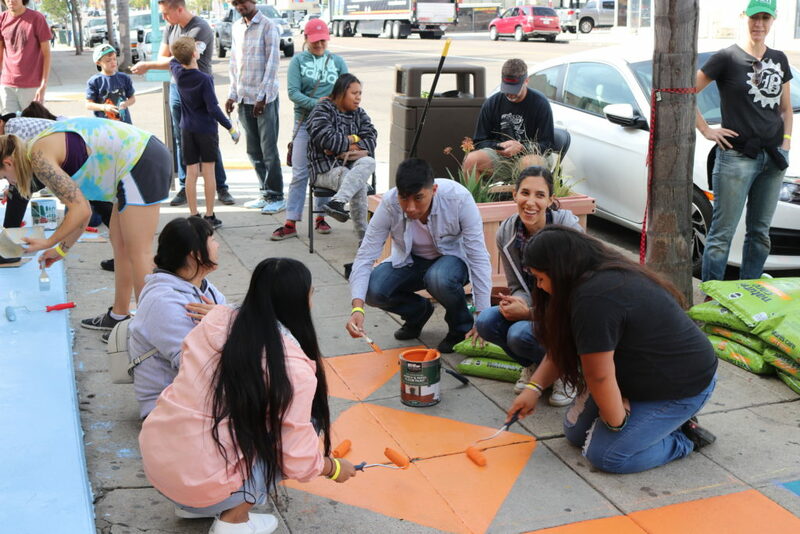 The façade improvement plans started in March, with pro bono graphic design work offered by students in San Diego State University’s School of Art and Design. 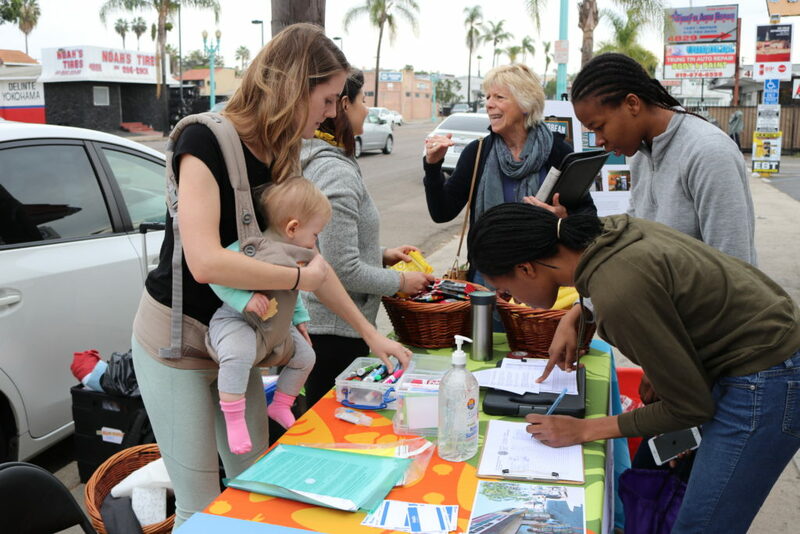 From there, we worked with City Heights stakeholders like the market’s shoppers, the El Cajon Blvd BIA, and Mai’s Beauty Salon next door, to host a series of stakeholder and community meetings to vet and build on the designs to include social gathering elements for the neighborhood. 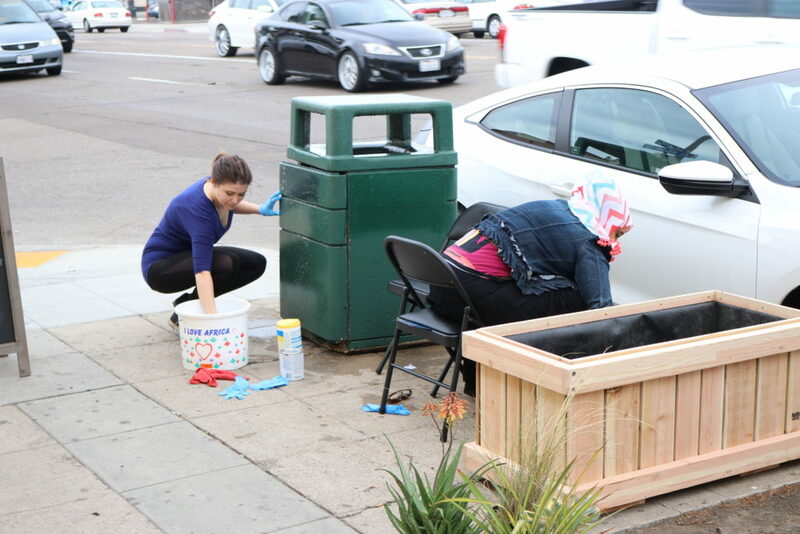 This project was funded by a collection of hard dollar and in-kind resources coming from: County of San Diego Health and Human Services Agency, UCSD Center for Community Health, African Caribbean Market, El Cajon Blvd BIA, San Diego State University’s School of Art and Design, Rooted in Place Landscape Architecture, and others. 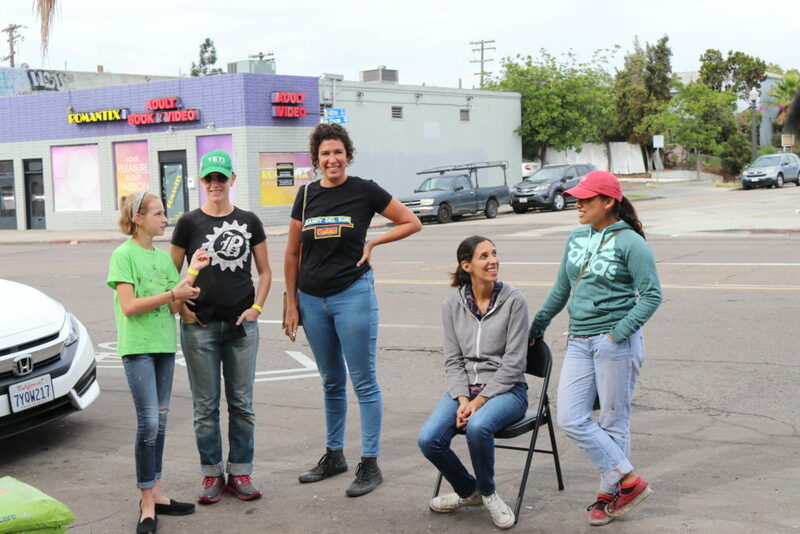 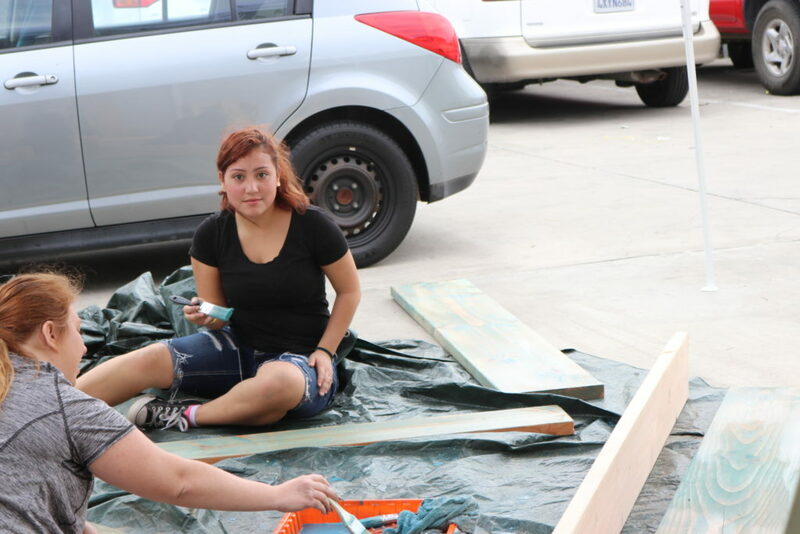 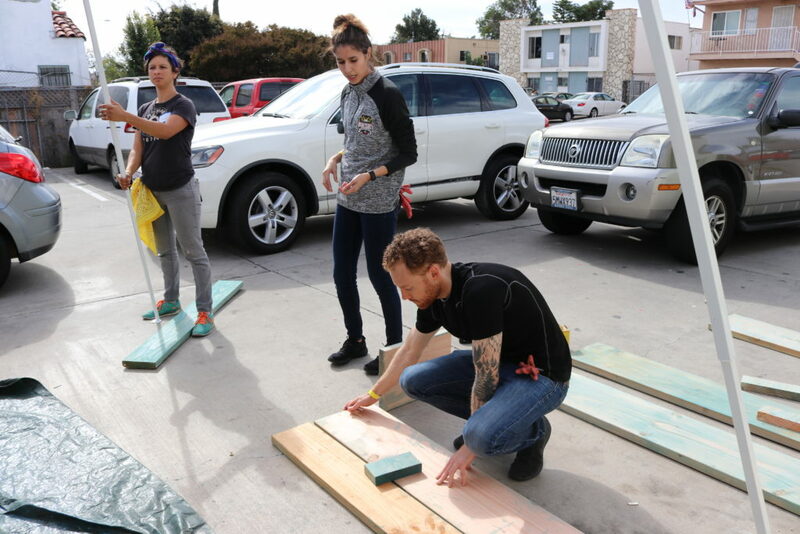 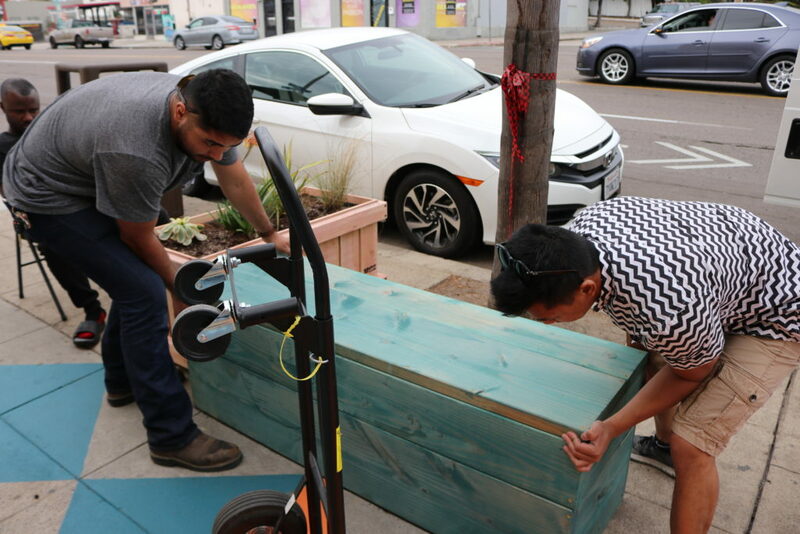 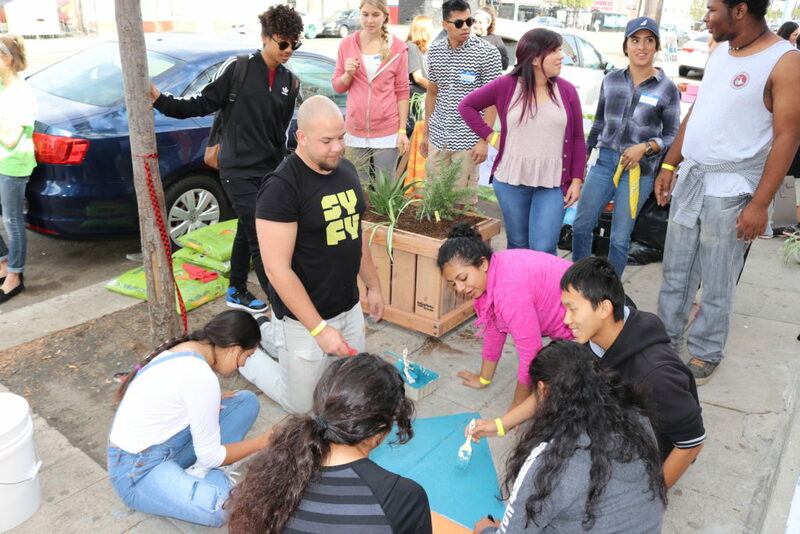 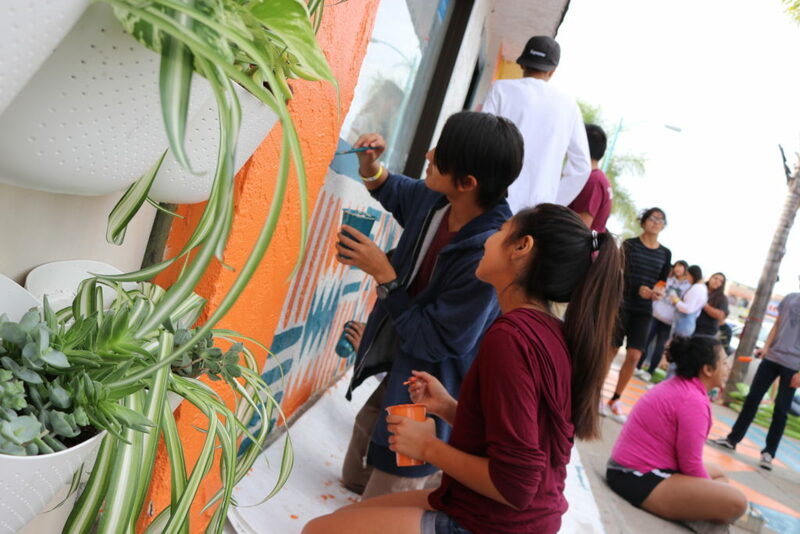 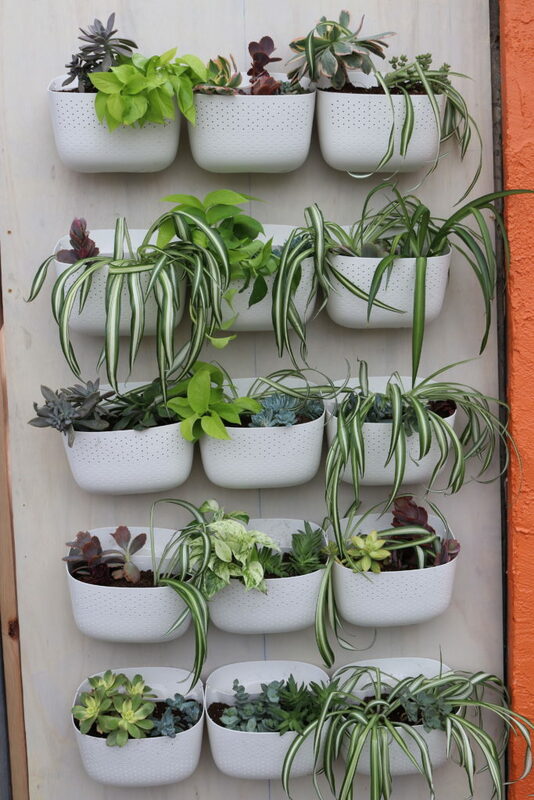 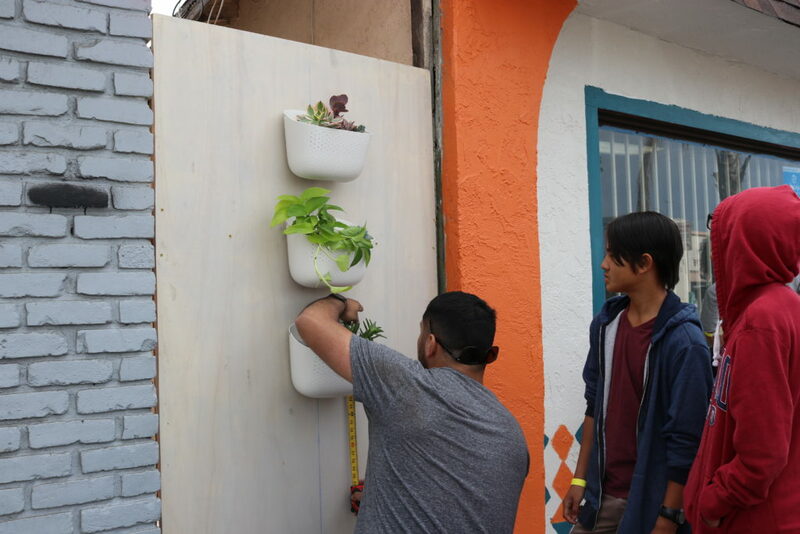 Special thanks to our UCSD CCH Community Health Specialist, Kate Mahoney, and our Director of Urban Food Environments, Elle Mari, for leading the charge on this community building project!